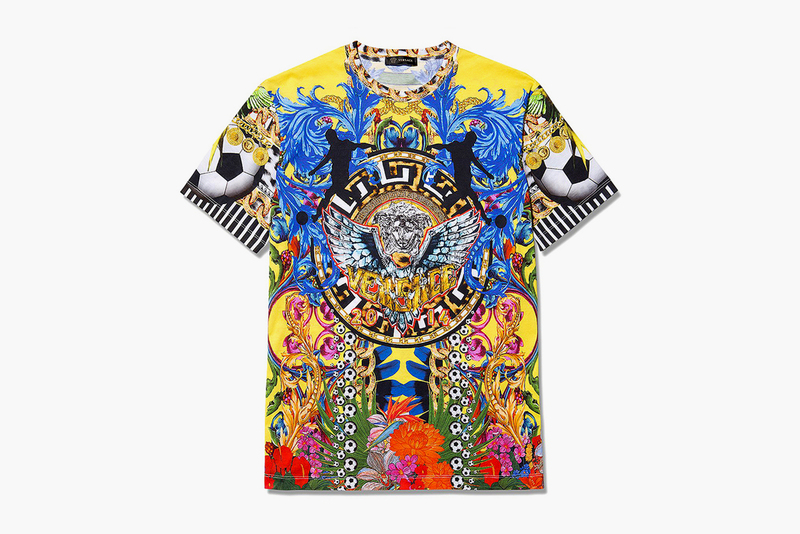 Bad news Versace, an extensive poll spanning continents and at least three people has declared the £410 World Cup t-short hideous by a margin of 60% to 40%. (I expect a grovelling apology and offer of free stuff in my inbox within the hour). But this week there could only be one outfit to pick, because all other ‘dresses’ paled into insignificance next to the inimitable Rihanna at the CFDA Fashion Awards, where incidentally, she was presented with the 2014 Fashion Icon Award by Anna Wintour. Posted in Fashion, HoA and tagged anna wintour, CFDA, fashion icon award, hideous or amazing, HoA, rihanna. Bookmark the permalink. Hideous or Amazing: Versace Loves Brazil, but do you love Versace? Bjork was a huge winner, 75% (of the probable four voters?) felt that we should all wear swan dresses on a daily basis. Sewing machines at the ready. Posted in Fashion, HoA and tagged amazing, Brazil, fashion, football, hideous, hideous or amazing, t-shirt, Versace, world cup. Bookmark the permalink. Swanning around: Hideous or Amazing? Last week’s Alexander McQueen shoes divided my massive readership quite a bit, however love-of-the-ridiculous prevailed with 60% thinking Lady Gaga was right to wear such amazing shoes, and 40% shouting hideous. This week we’re flashing back to the Oscars of 2001, where Bjork glided down the red carpet in a Marjan Pejoski swan dress. Cards on the table here, I love it, I want it, and not just for fancy dress, as always though I defer to your opinion (maybe, potentially, possibly). 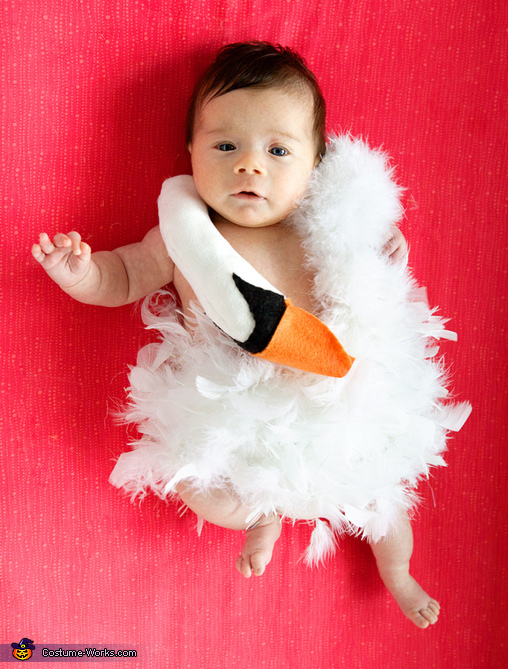 And just for the fun, a baby swan! Posted in General and tagged amazing, baby bjork, Bjork, fashion, hideous, hideous or amazing, Marjan Pejoski, Oscars, oscars 2001, swan, swan dress. Bookmark the permalink. Alien-inspired shoes: Hideous or Amazing? After the ‘roaring’ success of last week’s HoA post, where 83.33% of voters felt that Katie Holmes needs to find a new stylist and/or Disney inspiration, it returns for week two. Alexander McQueen is next up, more specifically the alien-inspired shoes of their Spring/Summer 2010 collection, also modelled by Lady Gaga in the Bad Romance video. While I don’t think I’ll run to the shops in them (let me have my fantasy of having a spare £2 grand!) I actually think they’re pretty amazing… but as always, you decide! 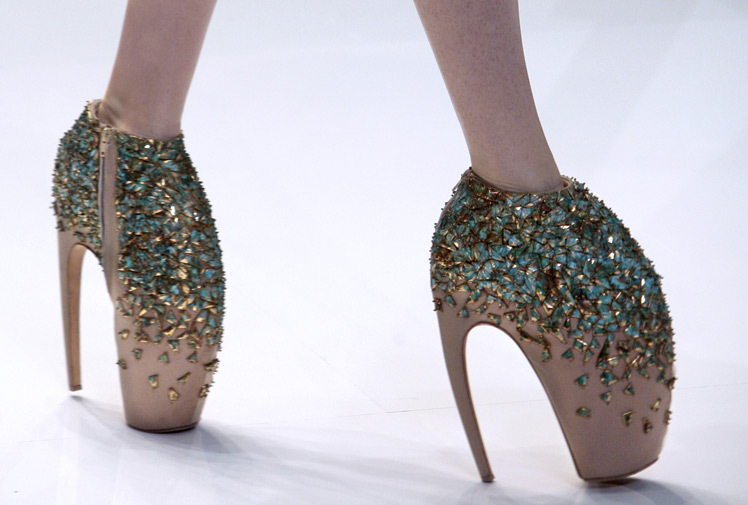 Posted in General and tagged Alexander McQueen, Bad Romance, fashion, hideous or amazing, HoA, Lady Gaga, Runway, S/S 2010, Shoes. Bookmark the permalink. 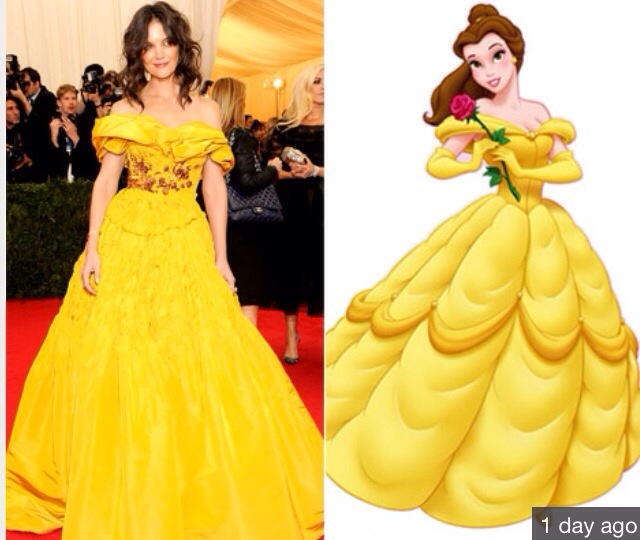 Kicking things off is Ms Katie Holmes, and her choice of Marchesa (Disney) Met Ball 2014 outfit as seen below. I’m feeling ‘hideous’ but tell me if I’m wrong! Posted in Fashion and tagged amazing, belle, disney, fashion, hideous, hideous or amazing, Katie Holmes, Marchessa, Met Ball, Met Gala, mustard. Bookmark the permalink. This week, I want to show you all another wonderful blog which never fails to find and appreciate fashion so creative it is nearer to art. I love green inspiration is written in English and Italian and always offers interesting insight and reaction to the images showcased. Below are images from some of my favourite blog posts of the last few months, click on the image to get to the full post. Posted in General and tagged avant garde, beauty, Blog of the week, I love green inspiration, inspiring fashion features. Bookmark the permalink.